Dyslexia is a brain-based type of learning disability that specifically impairs a person’s ability to read. These individuals typically read at levels significantly lower than expected despite having normal intelligence. Although the disorder varies from person to person, common characteristics among people with dyslexia are difficulty with spelling, phonological processing (the manipulation of sounds), and/or rapid visual-verbal responding. In adults, dyslexia usually occurs after a brain injury or in the context of dementia. It can also be inherited in some families, and recent studies have identified a number of genes that may predispose an individual to developing dyslexia. After reading this long drawn out definition, one truly must wonder what it is like to have a disability like dyslexia. I will list several examples from my own life and experience, to demonstrate the frustrations one goes through with a disability like dyslexia. · My first memory of things not being quite right, in first grade trying to read a basic what the dog did book I think spot was going somewhere. As I sat in the classroom and New York City full of children trying to comprehend what spot was doing. I started to be aware as I heard other people began to read out loud that the letters in the words did not look the same. I could hear somebody speak a word and look at the word but later on, when they spoke the word the letter seem to be in a different order. At one point somebody would say Dog the word would look like this( Dog), the next time I heard the word dog the word would look like this (Dgo) or (God). There is no way in the world that a child in first grade could understand why the word never looked the same. 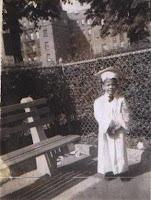 · My next major memory would be about third grade, lucky for me there was not a common diagnosis for (ADD) at that time. I began to be very distracted in class and not paying attention to what was going on. As I look back on this it had to be a coping mechanism that I developed. As my behavior became more and more disruptive, some bright person and one of the offices decided that I needed to be tested for learning disabilitie, at that point in time my dyslexia was discovered. Looking back on it if anybody, was truly paying attention before this point they would’ve realized that I was one of the few children that didn’t speak a word until age 4 or 5, and once I began speaking I pretty much never shut up. At this point in time I was introduce to the famous New York City special education program where they truly tried their best to deal with a disability they did not understand. Even at this age I have a true knack of remembering everything a person would say, I seem to be a sponge for all types of information even at this age when other kids were watching cartoons I enjoyed the news and had a true understanding. · My next major memory was one of a 8 grade parent teacher conference, I set in a room for about 45 minutes and listen to this so-called professional label me as illiterate. Looking back it had to be their lucky day I did not have a true understanding of the word. after 45 minutes of listening to a professional psychologists trying to convince my mother, that the possibility of be ever being a productive member of society was slim to none. The suggestion was to send me to vocational training and hope for the best. After returning home me and my little sister site down and looked up the word illiterate, needless to say I was heartbroken. · My next major memory was from my days at Western Carolina University, even though they did have a excellent staff there to assist people with disabilities. There were still some professors who believe they should not follow the law. the staff of disability services was powerless against a tenured professor. I had one professor in economics that did not believe in any type of accommodations. The accommodations I wes entitled to by law, was a proxy to read to test out loud and to write my answers down word for word. this professor refused to deliver my tests to disability services so I could take them. Needless to say when the dyslexic is under any type of pressure and not fully concentrating reading any complicated paperwork becomes a chore. Even though over time you learn to adjust and take your time to reread things to get a clear understanding it becomes a impossible situation for a dyslexic to succeed in a time limited setting. I was forced to file complaint With Americans with disabilities act(ADA) with the federal government to force the university to allow me my rights. This also meant I had to take the same class 3 times, one of the reasons I took the class 3 times is by this point in time in my life I refuse to let this individual professor Win, I had the option of taking the class with A professor who would allow me my accommodations. But I chose to wait for a decision from the ADA which forced this professor into allowing me my accommodations. Major challenges in my life today, is the perception of individuals because your spelling is off or your grammar is not quite right you are unintelligent. It is a shame after completing a bachelor’s degree in business aministration with a concentration in computer information systems and Masters of science and computer engineering with a concentration in Internet engineering, people still have a strong bias towards what they perceive as intelligence. I am writing this piece for two reasons, 1) So any person out there with dyslexia, can have a clear understanding that if you do have a disability like dyslexia it does not make you less than anybody else. 2) If anything it should empower you to greatness because as one wise person once said to me you know you must strive harder and be smarter than all of your competition. I truly hope by reading this one person in the world with dyslexia, will be able to see the light at the end of the tunnel and walk into a truly. amazing world and achieve their true goals and not settle for anything less. Please find a list below of some amazing people with dyslexia. · Ann Bancroft, Arctic Explorer. · Willem Hollenbach, astronomical photographer and inventor. · Pierre Curie Physicist (1903 Nobel Prize). · John R. Skoyles Brain Researcher. Dyslexia is a neurological development disorder. The symptoms are clear but there is no proper medication found on it. It is also found in children. There are many big personalities also who suffers from dyslexia. Kinesis and Eurythmics has proved effective. Thanks for taking the time to write this. I think many of my childhood memories will run parallel to yours. My high school transcript has me as mildly retarded. The struggles that go with being labeled as stupid or any common name of a lower intelligence can be harmful to the soul of the person. I still feel the affects of the name calling and isolation that the school system put my through. My strongest memory of the high school years was needing to know how to spell the word "kept". The answer always seem to be "Look it up in the dictionary". How do you even start to look it when you have no clue what letters make the sounds that form the word. I remember even trying to read through all the words that started with the letters of c, k, and q trying to figure it out. I spent over two years of high school in search of the spelling of this one simple word. This did teach me there are ways you can reword a sentence to avoid the word kept! Its really great knowing that the horrors of public schools were not mine alone. Thanks again for sharing.